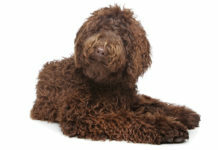 Are you looking for new ways to train your dog? Do you want to entertain him, or keep him busy when you can be by his side? These are all things that an electronic treat dispenser can help you with. 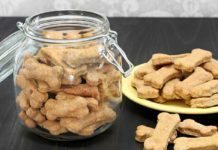 What is a dog treat dispenser? A dog treat dispenser comes in a few different forms. Remote dog treat dispensers, electronic dog treat dispensers and automatic dog treat dispensers. These are all tools for rewarding your dog. Consisting of a body section containing bite sized treats, and a separate remote control. 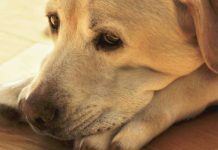 They are a great way of rewarding your dog at a distance, and of keeping him motivate even when you are occupied doing something else. In this article experienced dog trainer Jo Laurens takes a look at what makes electronic treat dispensers so useful. 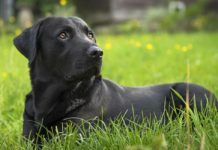 How they could help you to train your dog and which electronic treat dispensers are the best option for you and your Labrador. Electronic treat dispensing devices can open up new terrain for anyone wanting to train their Labrador. You don’t need to be with your Labrador, at the moment you deliver the treat. You can be standing some distance away, both when you mark and reinforce a behavior. Behaviors that take place at a distance from you, are therefore much easier to train. You’re not the source of the primary reinforcement (treats!) 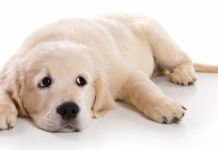 anymore, so your dog’s urge to return to you, is removed. 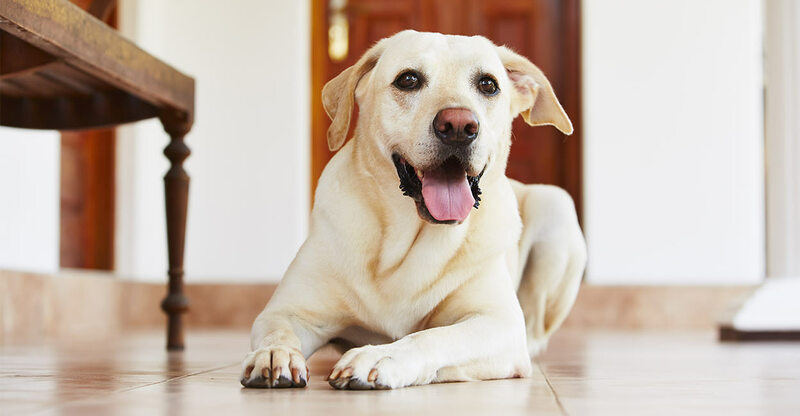 This is especially useful for training any targeting behavior – where the dog has to head away from you and towards something in the environment. This can include send-aways; mat targeting; or even distance control or handling. With the automatic reinforcement schedules available on some devices, you can also set the dispenser to give treats at intervals, all by itself. This frees you up to do other things, whilst your Labrador continues being reinforced. 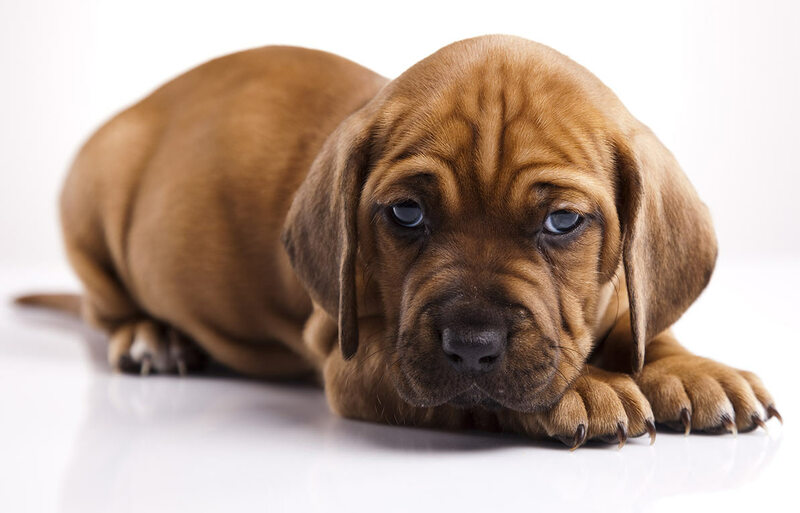 You might be providing some distractions for your dog – maybe proofing a stay, for example. Or you might be training one dog, whilst you use the dispenser to reinforce another dog for waiting their turn. You might be driving a car, whilst your dog is rewarded for not barking. The applications here are endless and exciting. There are a few different treat dispensers on the market at the moment, priced for different budgets. They all have slightly different functions and intended uses, so let’s take a look at a couple of them. Trixie Memory Activity Dog Trainer is a really well-priced electronic treat dispenser. The machine comes with the unit itself, plus a separate ‘button’ for the dog to press with either nose or paw. Pressing this button sounds a noise and automatically triggers the treat dispenser. This machine is intended to be used almost without human involvement. The dog presses the button, and a treat emerges. The goal being, to move the button progressively further away from the machine as the dog gains confidence. Eventually, the button can be hidden in different rooms of the house, with the dog searching for it. The button is accompanied by a suction cup to attach it to vertical surfaces, and a peg, to secure it outdoors. However, thinking outside the box a bit, there’s no reason why the handler can’t hold the button and press it to release a treat from the dispenser. This enables the dispenser to be used in a similar way to other treat dispensers on the market: The handler marks and reinforces a desired behavior. This Trixie unit can’t be set to dispense treats at intervals, by itself. Each treat release, needs to be triggered by the button. I haven’t experienced any jamming problems with the mechanism, but it is hard to control how many treats come out each time. This is determined by how wide you set the opening of the barrel which contains the treats. If you set the opening too wide, too many treats come out each time – and you may not get many reps before running out! If you set the opening too narrowly, it’s possible that none may come out when the button is pressed once. Although you are supposed to hide the button in different rooms, thick or solid walls greatly impact on the range of the unit from the button. This is a really great unit for the price, with basic functions and a simple mechanism which isn’t likely to malfunction. 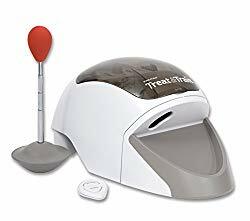 The PetSafe Treat and Train Remote Reward Dog Trainer unit was invented by the late (and brilliant) Sophia Yin and was originally called the ‘Treat & Train’. The product was then sold for a while as the ‘Manners’ Minder’. It’s now a PetSafe product. I’ve expressed concerns elsewhere about PetSafe’s ethics as a company, since they also manufacture aversive products. The Treat and Train has many more functions than the Trixie unit. With the ‘Down Stay’ function (which need not be used just for ‘Down Stays’! ), you can set the unit to dispense at regular intervals and choose the frequency. You can also set a random reinforcement schedule, to switch things up a bit and keep the dog guessing when the next reinforcement is coming. After 1 minute, the Down Stay functions turns off – so you do need to be near at hand, to turn it on again – or reinforcement will stop. The Down Stay feature is great for any sort of counter-conditioning, or any situation where you need to free your hands and your attention to do something else. 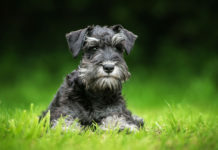 These include activities which you may need to condition your dog to enjoy – like grooming, driving a car, answering the door, training another dog – and so on. The Treat and Train comes with a target stick in a weighted base and a separate remote, as well as the DVD and manual created by Sophia Yin. 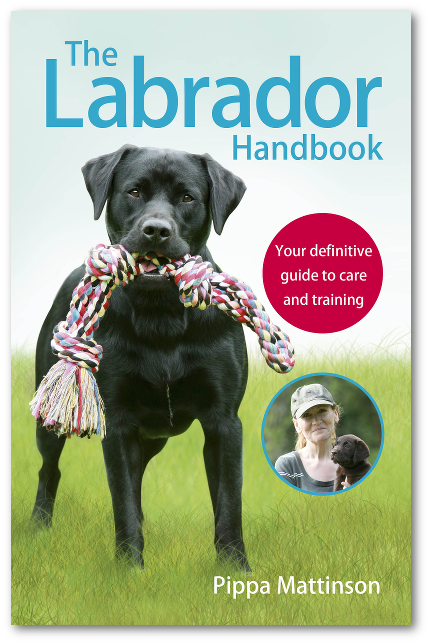 This is an excellent general training manual with particular emphasis on using the Treat and Train to teach your dog to lie on a mat quietly whilst you answer the door. The remote can either manually trigger the unit, for each rep, or you can use it to start the Down Stay function with whatever settings you have set on the machine itself. The Treat and Train is prone to jamming occasionally. It will then beep frustratingly at you and the dog, until you fix the problem! As with the Trixie unit, you can only put kibble or small, dry treats, in this machine. In high distraction situations, or for fussy dogs, these reinforcers may not be tasty enough for good results. Finally, the range of the unit is nothing like the advertised 30.5m range. Even with no obstructions, the unit was struggling at half that distance when I was using it for ‘remote sit’ practice with my dog. This limits some of the applications the unit could have, in many dog sports. If you buy the Treat and Train for distance work, be warned! This unit is reasonably priced and has some great scheduling functions with the ‘Down Stay’ feature. This makes it very useful for counter-conditioning. It also has excellent supporting literature from Sophia Yin. So, what is the best dog treat dispenser for you? It’s the one that fulfils that job you are looking for. If you want to use it for distance training, then a remote dog treat dispenser will be best. 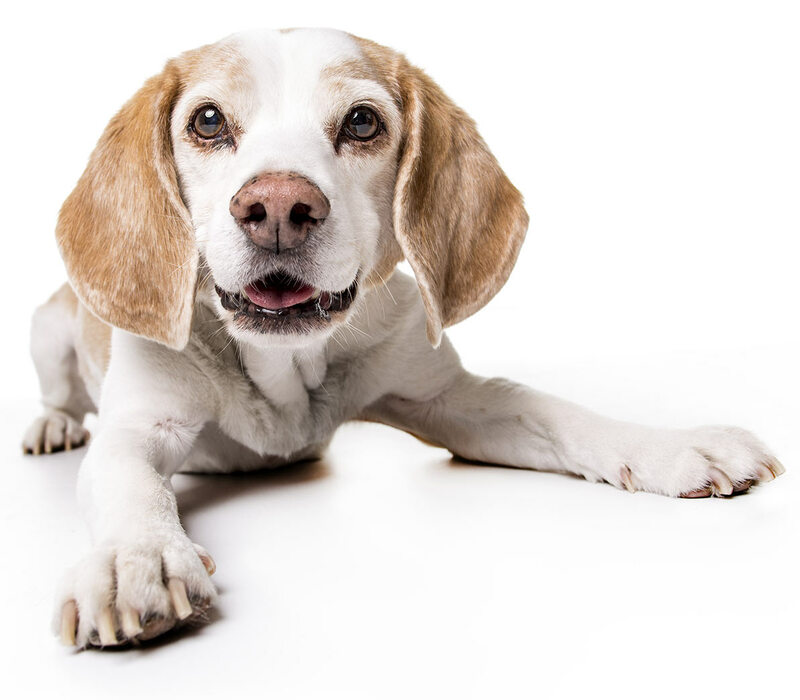 This will allow you to control when your dog gets their treats, to time it to reward their behavior. 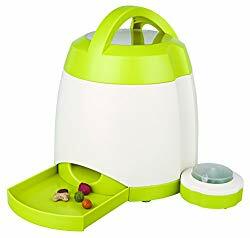 However, you might just want an entertaining dog treat dispenser to keep your pup busy and happy. If so, then there are lots of great electronic and automatic dog treat dispenser options to choose from. Jo Laurens is a dog trainer and major proponent of positive reinforcement training methodology. 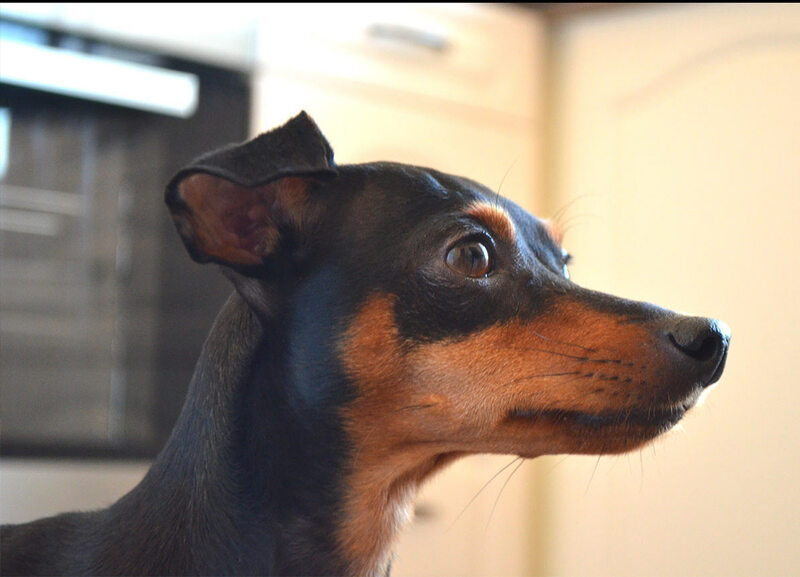 She is a full Member of the APDT UK and PPG. A certified BAT Instructor and a Gundog Club Assessor & Instructor, as well as an ABTC Registered Instructor.